Some people refer to it as ‘glamping’ but with a focus on environmental sustainability these eco-sensitive and romantic wilderness lodges join forces to showcase Australia’s unique style of sophisticated, barefoot, experiential luxury. The aim of the below itinerary is to entice, inspire and connect guests to the outback, bush and desert through experiences that are exclusive, natural and quintessentially Australian. The true luxury here is in the very private exclusivity of the camps and lodges, and the rare privilege of being in these places. Flight to adelaide airport, 4.5hr drive (or 65min private air charter to hawker, 10min drive) to arkaba. 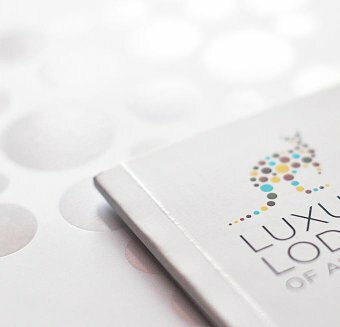 Arkaba’s true luxury lies in the fact that its 60,000 acres are shared by just 10 guests, taking the definition of exclusivity to a new level in Australia. Located in the ancient and awe-inspiring scale landscape of the Flinders Ranges, Arkaba provides the opportunity for guests to immerse themselves in the story of the bush – its ancient geology, diverse wildlife and the chance to understand the conservation challenges that Australia faces. 4WD safari – A day trip into the neighbouring Flinders Ranges National Park includes driving through the Brachina and Bunyeroo Gorges, a visit to the old mining town of Blinman and lunch at an outback pub hotel. Evening dining – As the property was formerly a sheep station, it would be amiss not to enjoy dining around an old wool-classing table on the outdoor terrace. With the ever-changing light and sounds of the bush all around, this is a special and uniquely Australian experience. 4.5 hour drive to adelaide airport (or 10min drive and 65min private air charter from hawker), 2hr flight to alice springs airport, connect to 1hr flight to ayers rock airport, 15min hosted drive to longitude 131. Located in the heart of Australia and facing majestic Uluru (Ayers Rock), Longitude 131° offers a uniquely personal experience, complete with pampering accommodation in 15 luxury tents with private views of the changing colours of Uluru as the sun rises and sets. Uluru Sunrise Guided Base Walk – Experience the remarkable changing colours of the wide desert landscape and the spectacular sight of Uluru and Kata Tjuta at dawn. Table 131° – Dine out on sumptuous outback fare and discover the wonders of the southern night sky. As you arrive to your dinner setting, be greeted by the deep acoustics of the didgeridoo while Aboriginal performers welcome guests with a dance. Aboriginal Art – Enjoy a visit to Mulgara Gallery to see authentic Aboriginal art and meet the artist in residence. 15 minutes hosted drive to ayers rock airport, 45 minutes fight to alice springs airport, connect to 2 hour flight to darwin airport, private 20 minute flight to private airstrip, 15 minutes hosted drive to bamurru plains (or 2.5 hours self-drive from darwin). Bamurru Plains is an extraordinary bush experience on the edge of Kakadu National Park in Australia’s Northern Territory. The coastal floodplains of northern Australia are home to prolific bird and wildlife (Australia’s answer to the Okavango Delta) whilst Kakadu and Arnhem Land are the heartland of the country’s aboriginal culture. *Bamurru Plains is open from 1 May to 31 October. Airboat tour – A morning trip out on the floodplain wetlands of the Mary River catchment in an airboat is utterly exhilarating and the only way to truly experience this key natural environment. Aboriginal Culture in Arnhem Land & Kakadu National Park – The rock art galleries of Kakadu and Arnhem Land are only a short distance away and Bamurru provides an ideal base from which to visit Kakadu or Arnhem Land.